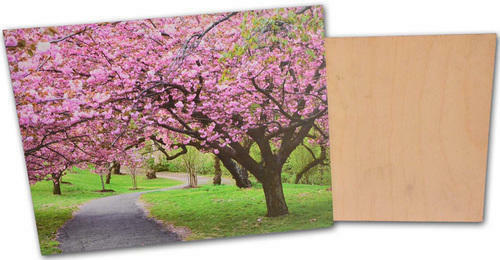 To meet various requirements of our esteemed patrons, we are gratified in providing Wood Printing. We have a team of diligent specialists who are able of providing these printing services with the help of advanced printing machinery in a perfect manner to fulfill the clients’ requirements. Along with this, we are offering these printing services to the important clients at the most competitive prices. Established in the year 2013, We, "Nivara Graphic", started our operations are known for Manufacturing, Service Provider and Wholesaler a wide range of the premium quality of Advertising Products. The product range offered by us is inclusive of leading Service Provider and Supplier for a wide range of Advertising Products such as Inshop & Outdoor Advertising, Display Advertising, Branding, Printing, Promotions, Event, Corporate Gifts, Social Media and E-Services. For designing the offered advertising as per the prevailing market trends, our designers make use of latest materials and technology. The offered Ads are used for promoting & marketing different products, events or services in the most efficient manner. In addition to this, we offer best quality Advertising Services to our valuable clients. Their systematic execution and cost-effectiveness, make these services highly demanded the market. We work to attain maximum customer approval and satisfaction, being a customer-centric organization. Determined to attain maximum customer approval, we follow customer oriented approach and ethical business policies. Owing to their easy installation, distinctive appearance, contemporary design, and fine finish, these advertising are highly demanded.